The future of Telecom – where are we headed next? Former CTO of AT&T speaks out to visionary leaders about the future of telecoms. The question has been asked by many. Where is the telecommunication market headed over the next decade? 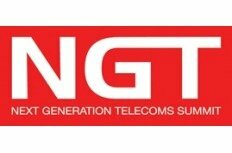 The subject was highlighted last week by visionary technology leader Dr Hossein Eslambolchi, Chairman & CEO of 2020 Ventures, who addressed over 50 telecom heads last week in California at the Next Generation Telecom Summit. The former CTO of AT&T is well-known throughout the technology world for his bold and futurist ideas. His strategies and implementations during his time at AT&T undoubtedly changed the way the company operate, and by doing this, strategically transformed the future of the network. As the keynote speaker at the summit, his technical presentation focused on the future trends in services and applications that will be implemented over the next decade. Eslambolchi’s insight into his futuristic world of communication sparked the tone for the rest of the week amongst the industry figureheads. A brutally honest debate lead by Courtney Munroe from IDC, touched on the concept of the ‘consumer’, their needs and what they are willing to pay for. Heated discussions and opposing views occurred between Neil Cox, Qwest, Ibrahim Gedeon from Telus, Christian Jorg from The Island Def Jam and Miriam Holzman from FOX mobile, on sharing out revenues created by content between telecom and media companies. It is not surprising that this debate will continue for some considerable time. Dubbed ‘The Converged Services Summit’, technology leaders are recognising the need to interact with each other from every different field within the industry, as each service is inevitably affected by the other. Joining Eslambolchi in discussions were Dan Acton, Virgin Mobile, Paul Frizado, MTS Allstream, Marc Coleman, Comcast, and Matthew Ooman, Sprint Nextel. This esteemed group conversed with technology leaders from Oracle, Canoga Perkins, Brocade, Front Porch and Aricent, about the future of telecoms, and whether these industry moguls can work together to take technology further. Platforms like the California summit need to become available to the industry’s figureheads for discussions to occur more frequently. Influential thinkers like Eslambolchi are stepping up to the challenge to develop telecommunication and take it to another level. Over the last few years, consumers have been bombarded with new technological ways to interact with each other. From the i-phone to Skype, global communication is becoming easier and cheaper, and has advanced dramatically in a short space of time. The question is what could possibly be next? AT&T Blunders: No Wi-Fi For iPhones, Sorry! Will Apple Be Sued For Turning Unlocked iPhones Into Paper Weight?